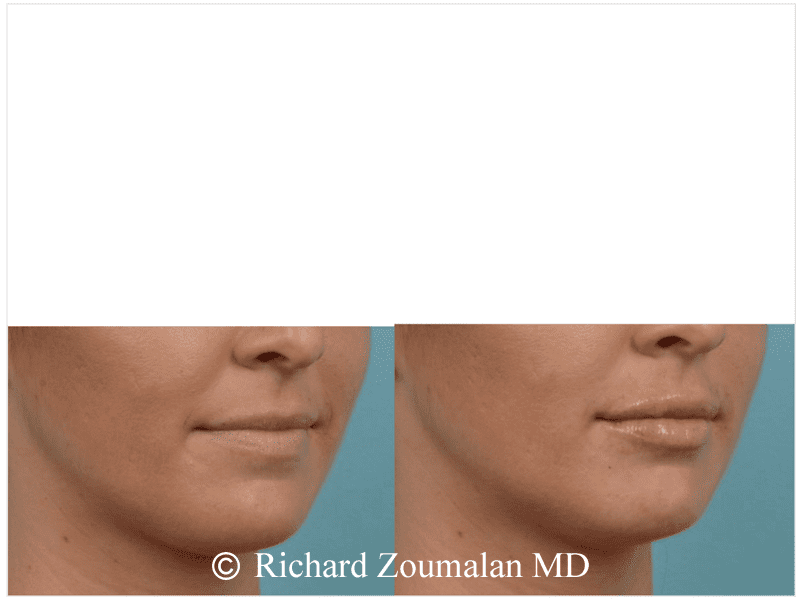 Voluma® is the first FDA approved filler used for instantly adding volume to the cheek area. It is an injectable gel that provides a subtle lift, as well as restoring volume and youthful appearance. 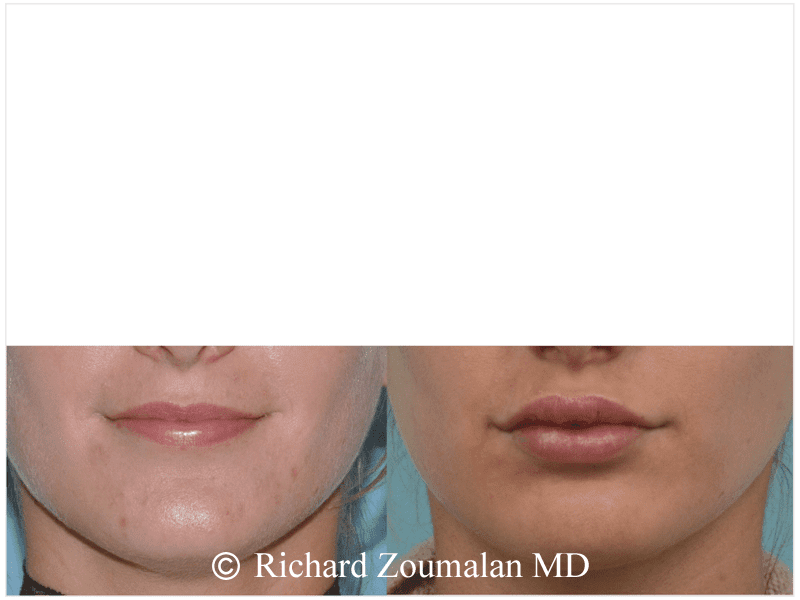 What is VOLUMA® injectable gel? Voluma® is intended for anyone that has experienced a loss of volume in the cheek area due to aging, excess weight loss, etc. 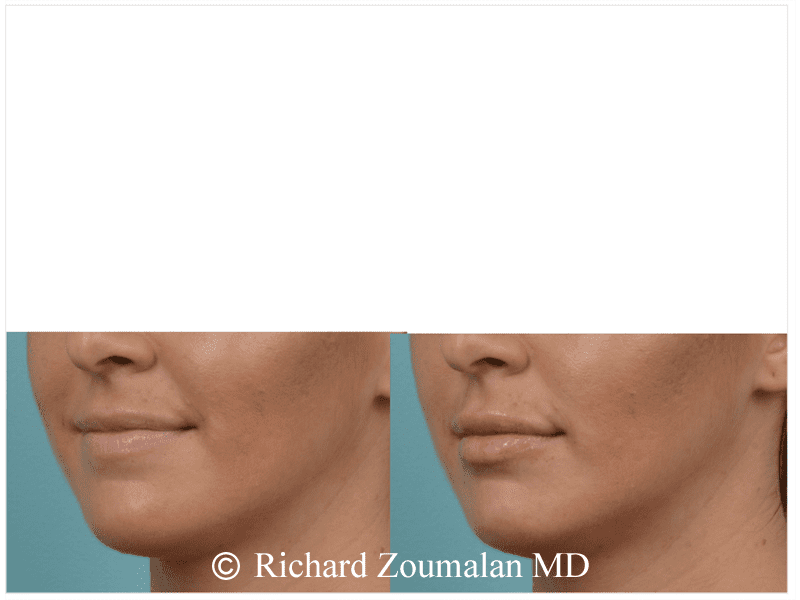 Unlike Juvederm, Voluma® is specifically designed to work on the cheek area. Voluma creates a natural, more fuller look, and it may last up to 2 years.Voluma, as well as Juvederm, is made up of Hyaluronic Acid. 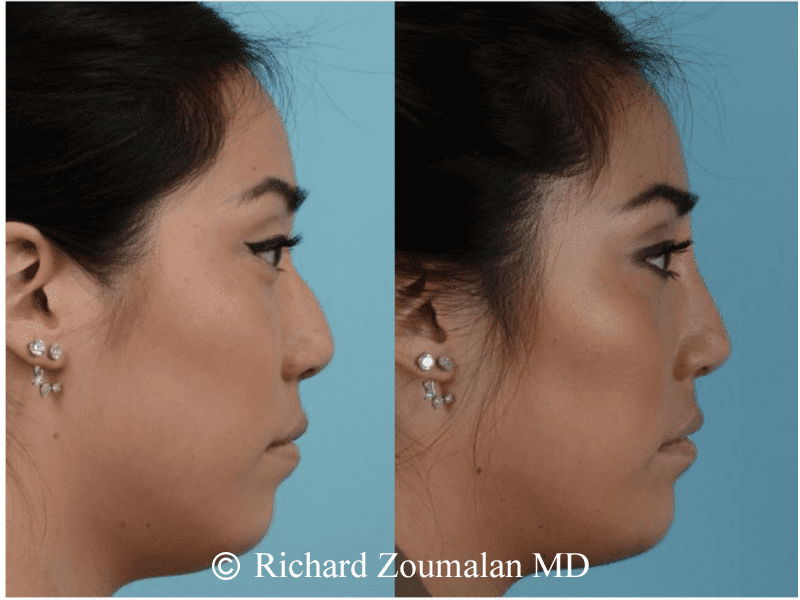 VOLUMA can improve the cheek volume in a natural way. You can see the improvement in her cheek, which is outlined by the white line. 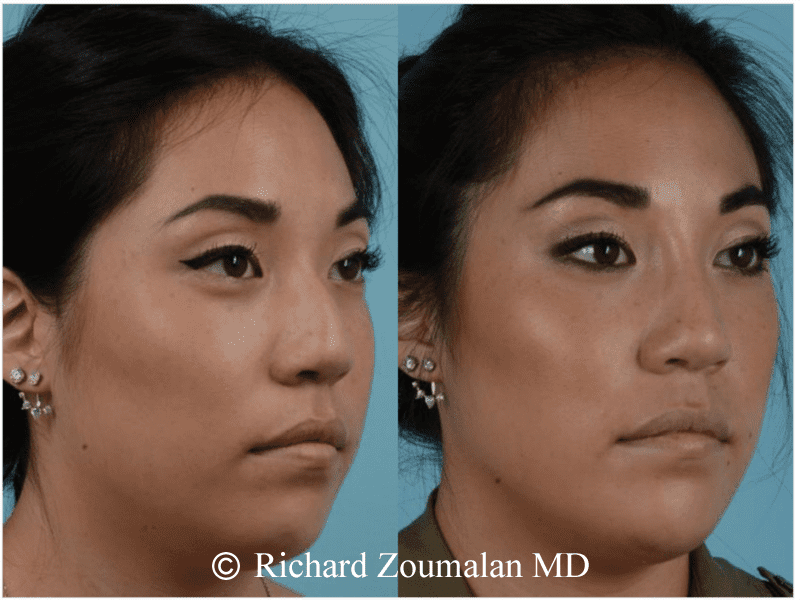 The white line along the patient’s face shows the contour before and after VOLUMA treatment. Also, you can see that it can help the jawline and lower face in a subtle way. Photos courtesy of Allergan. What is VOLUMA made from? Voluma® is made from Hyaluronic Acid (HA), which is a substance found in the skin. It is a naturally occurring, hydrating substance found naturally in the skin. As the natural aging process occurs, the amount of HA decreases, causing the skin to lose structure and volume. 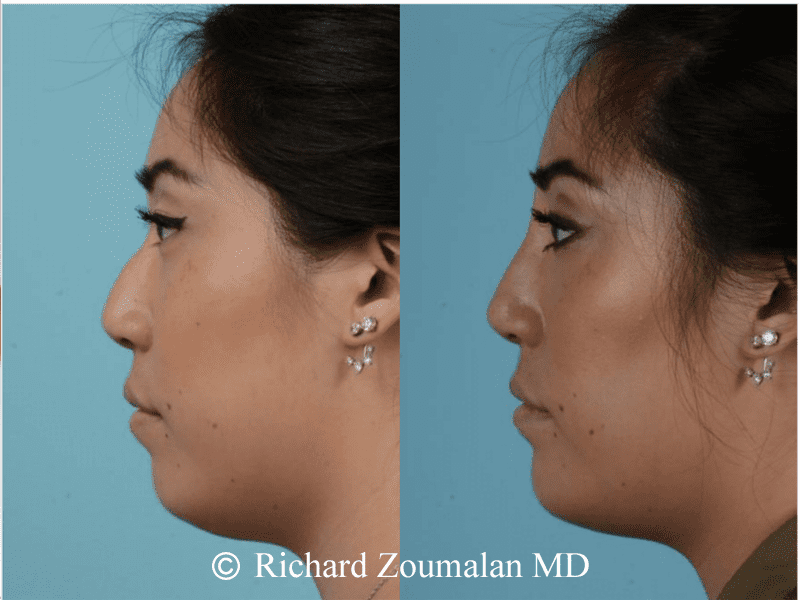 Injecting HA is essentially replacing and filling the amount that has been lost , in addition to recreating the look you had when you were younger. 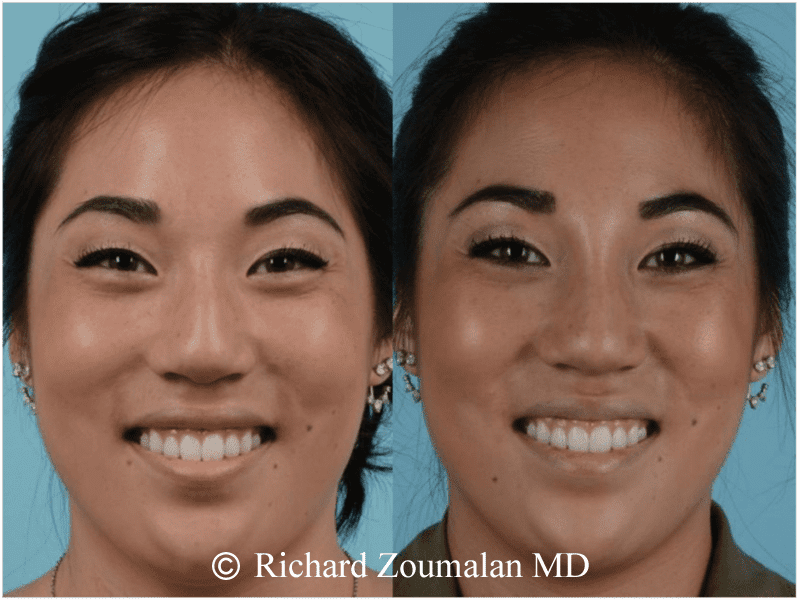 The white line along the patient’s face shows the improvement in cheek contour before and after VOLUMA treatment. Photos courtesy of Allergan. There are so many injectors who perform VOLUMA® treatments. Why choose Dr. Zoumalan? 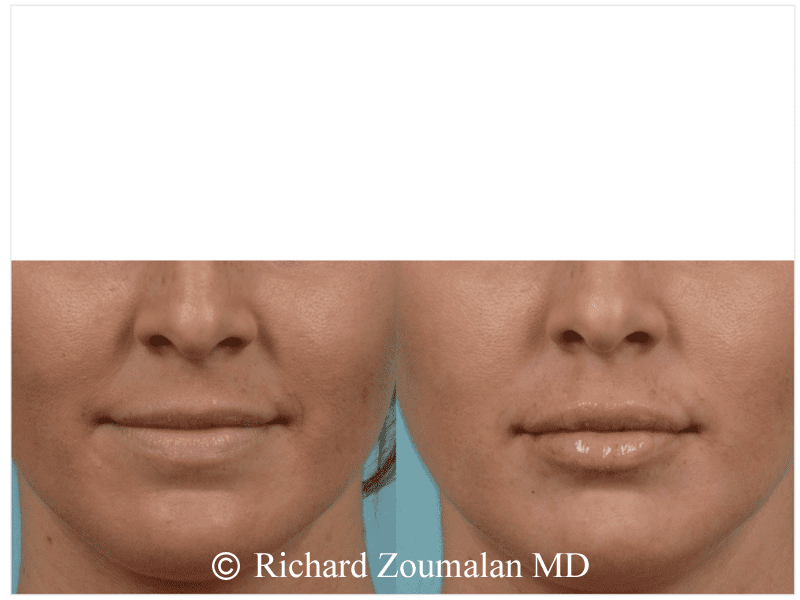 Dr. Zoumalan is an expert of the face. He only performs procedures on the face and neck. He is a Board Certified surgeon of the face, who has dissected and operated on the face with a level of expertise that few in the world have. 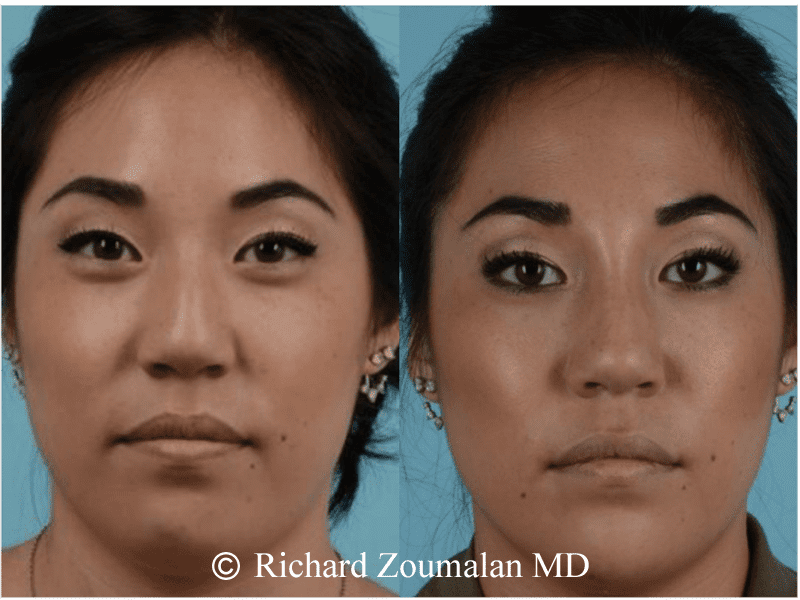 Understanding the most optimal use of fillers like Voluma requires understanding of the anatomy of the face. 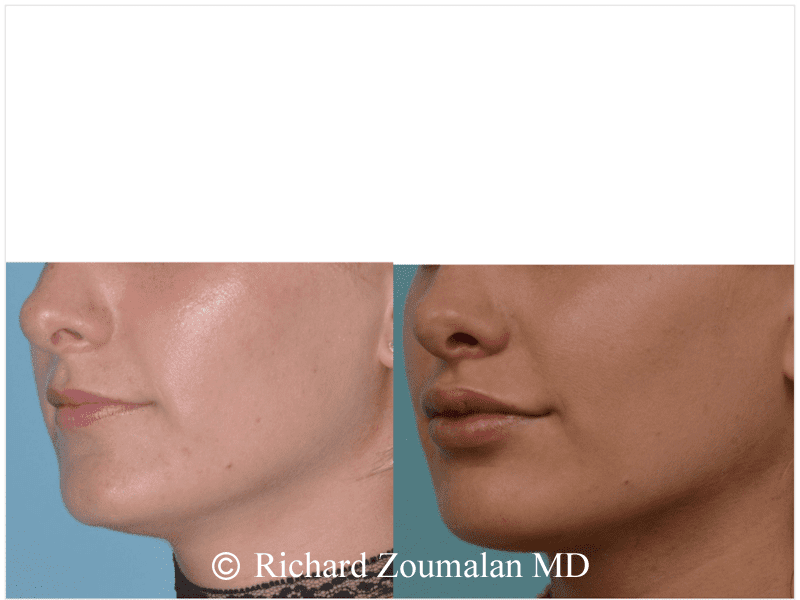 Dr. Zoumalan also has published 40 peer-reviewed articles on surgery of the face and neck and has an extensive knowledge of how to use fillers like VOLUMA®. Dr. Zoumalan is an artist. Not only is he an artist of the face in the operating room, he is also a painter. His most commonly painted image is that of faces. 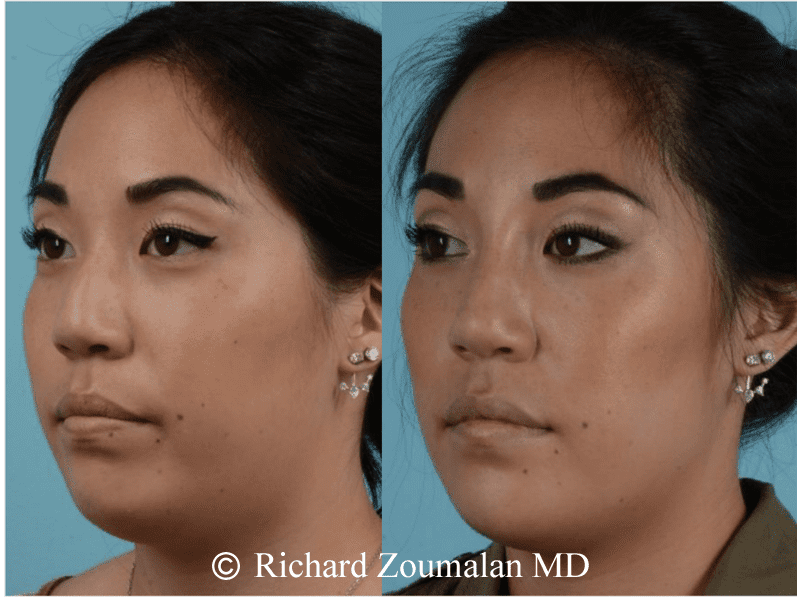 He has an understanding of facial shadowing that makes him truly understand the most beautiful, elegant, and natural use of fillers like VOLUMA®. You can find more information at the VOLUMA Official Website.